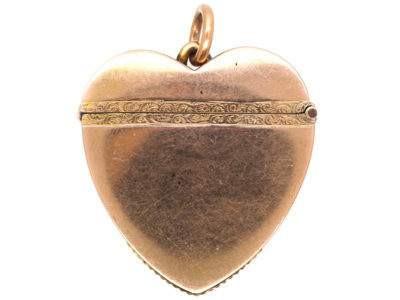 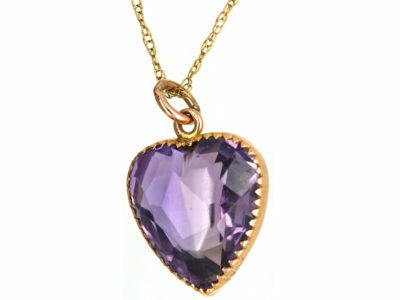 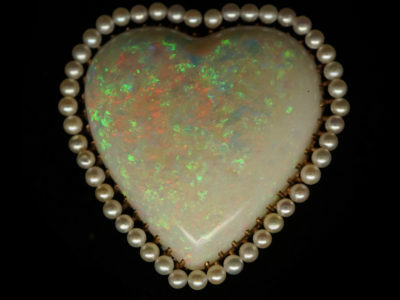 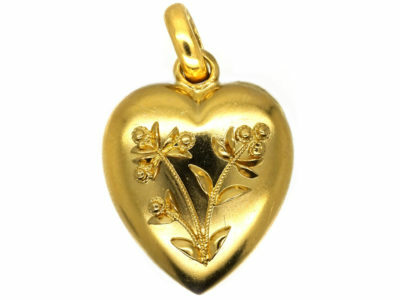 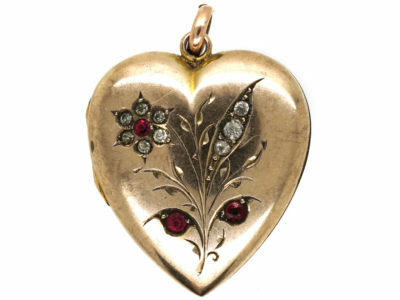 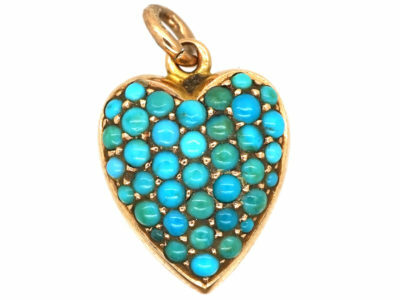 An unusual large 9ct gold heart shaped pendant that hinges open. 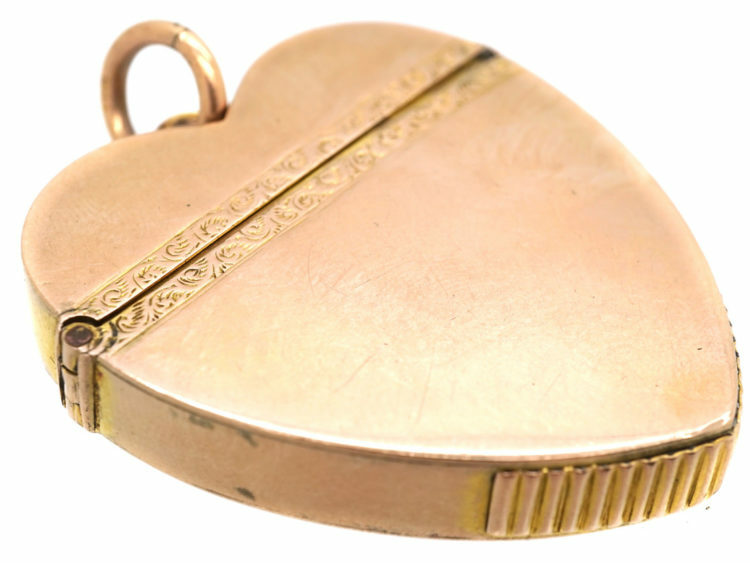 It would have originally contained matches so that is why it is called a “Vesta case”. 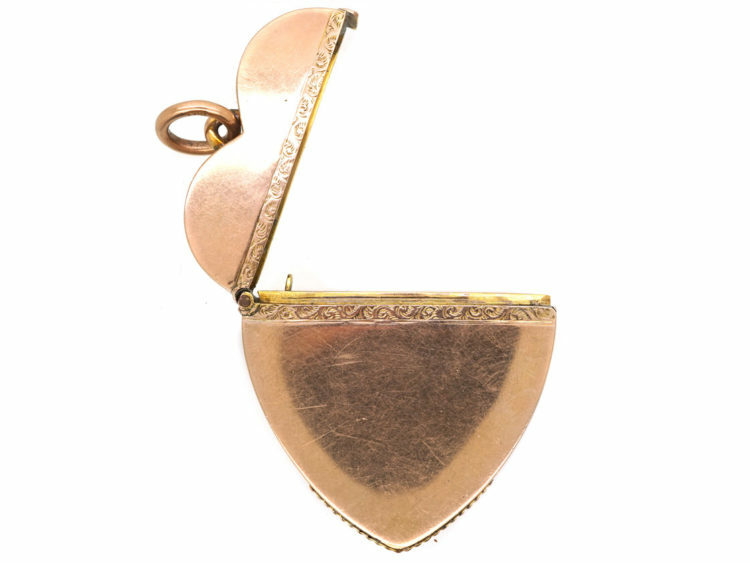 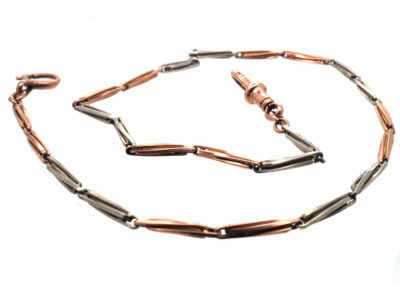 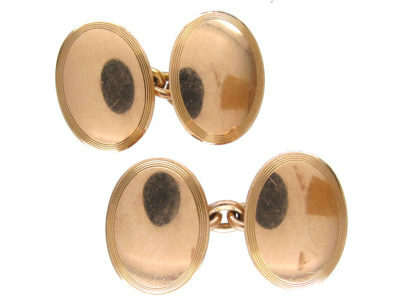 It is a striking piece of jewellery with an added detail of engraved bands on either side of where it opens. 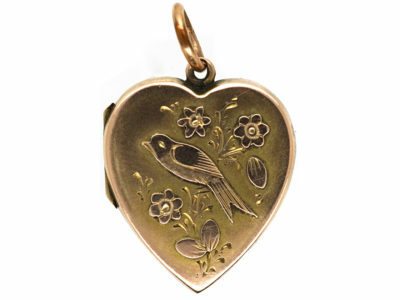 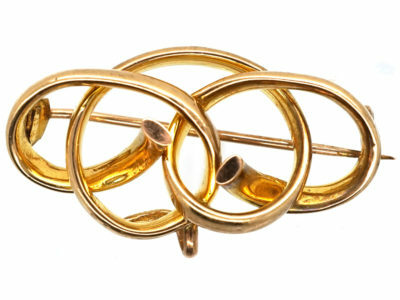 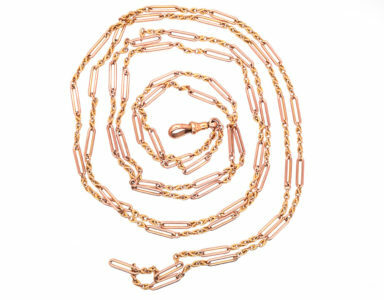 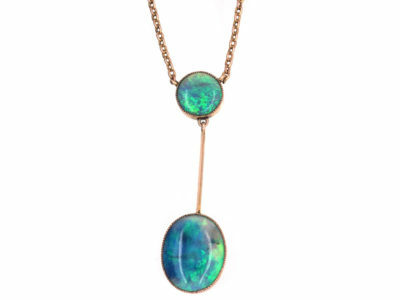 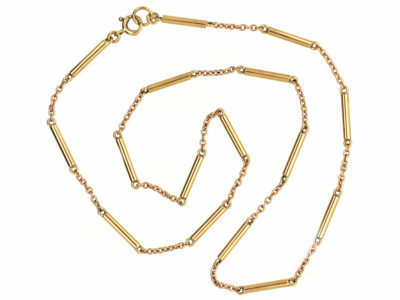 This would look good on a mid length rose gold chain.